Every time Fourth of July comes around, there is always bound to be a BBQ we are going to. And I, of course, tend to be the one to volunteer to bring dessert! Why? Because I love sweets and themed dessert is just so fun. Cheesing it up and celebrating this nation, nothing better! 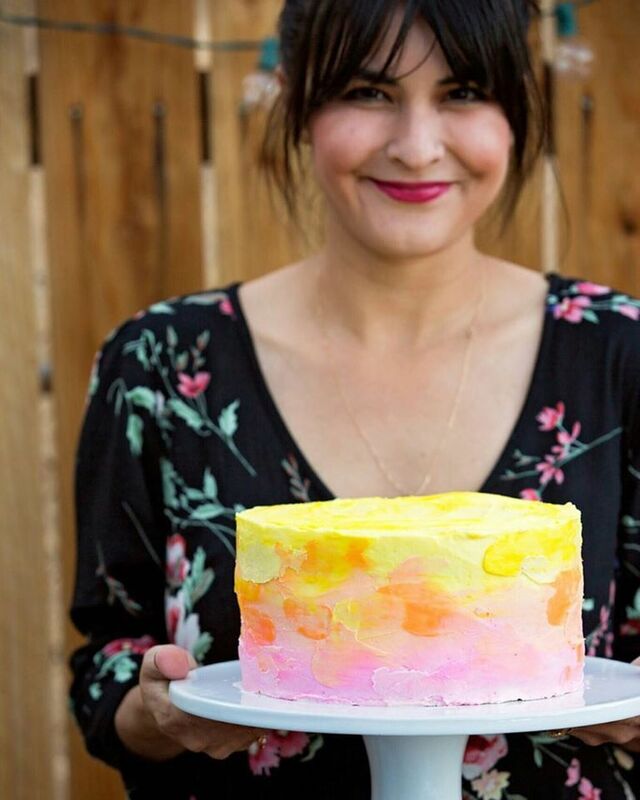 Love this cake from Glorious Treats! So patriot, and love the banner garland they added! These cupcakes are so awesome, I can't even tell you! Bakerella did a great job making these look like snow cones! Love play on food. 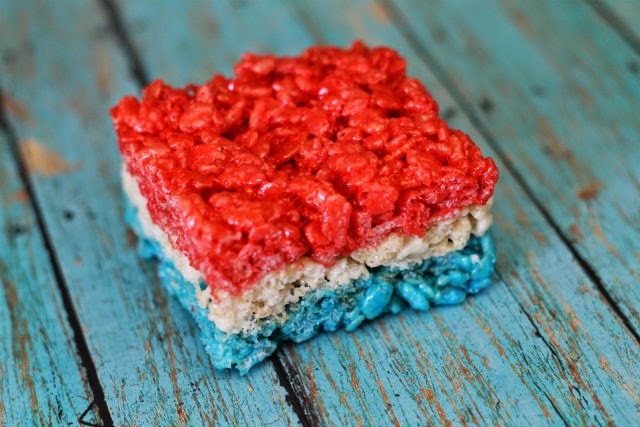 I love how bright and vibrant these rice krispy treats are! Lilluna made these perfectly! I am in love with idea from Nurby. 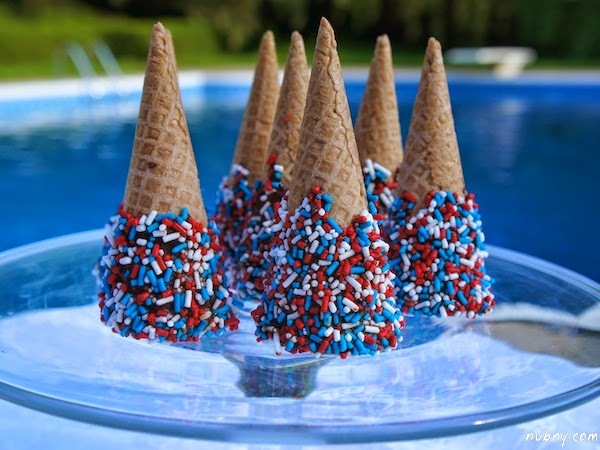 Such a yummy and easy way to make patriotic ice cream, make the cone red, white, and blue! 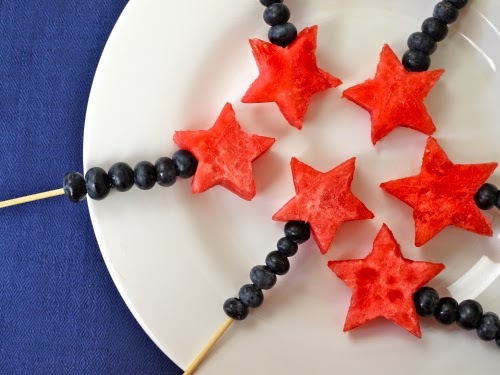 Weelicious goes with natural fruit and makes these adorable fruit patriot wands! 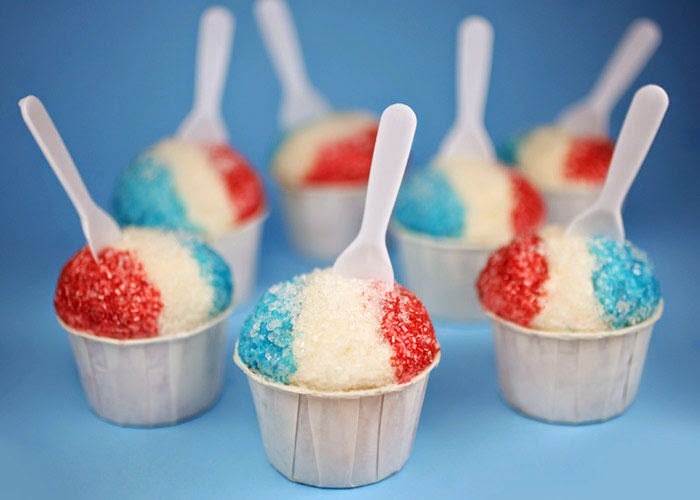 Use fruit, and it's natural colors to make something so darn yummy and patriotic! And finally, if you're more a savory person, this dessert is both sweet and savory! 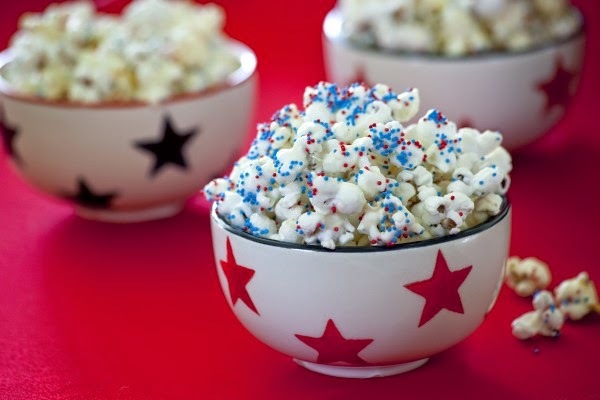 Eating Richly makes the best dessert popcorn ever! And if you want, you can modify or add fun festive M&M's! 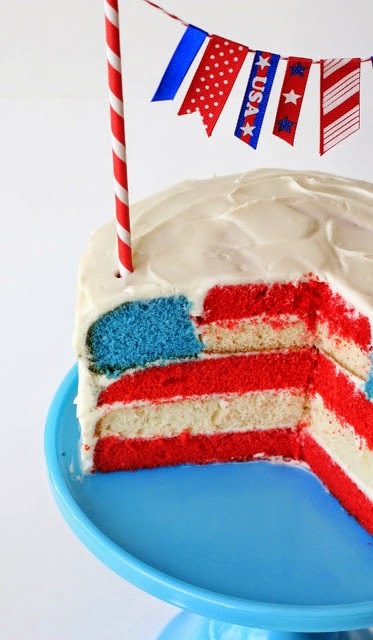 Hope you're inspired to make a yummy Fourth of July dessert! Red, White, and Blue never looked this good!